Knife Cold Steel Drop Forged Survivalist(36MC) High quality Cold Steel knives, throwing knives, tactical knives. The Survivalist is the largest of our Monolithic knives. 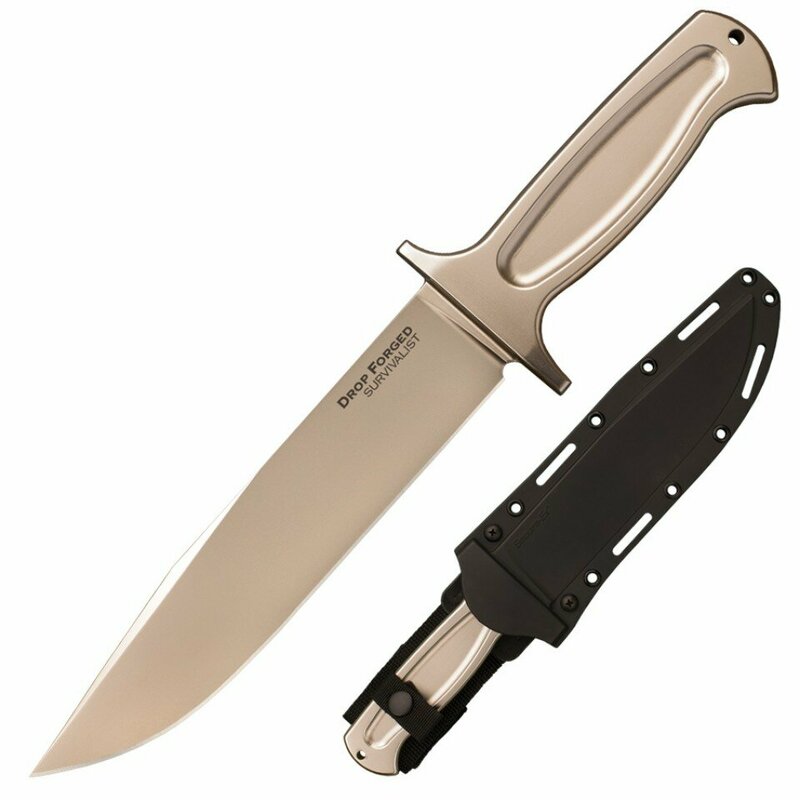 It’s long, wide, 52100 High Carbon blade (inspired by our ever-popular Recon Scout) is designed for military application as well as hunting, survival & bush-craft. It's razor-sharp edge, steel guard, generous belly, thick spine and stout tip make it an excellent choice for almost any endeavor. Drop-forged from one solid piece of steel, the Survivalist is unbelievably durable, making it an excellent choice for tactical /military use, emergency preparedness and survival applications. The Survivalist comes with our versatile military-style Secure-Ex sheath, giving you a whole host of comfortable and secure carry options in the field.